Easy to view and print listing of the Western Cuyahoga Audubon Speaker Series 2018-2019. Topics, speakers, program descriptions, and event details. View and print. Use this convenient one-page check list form to mail in your check for annual membership and donations. 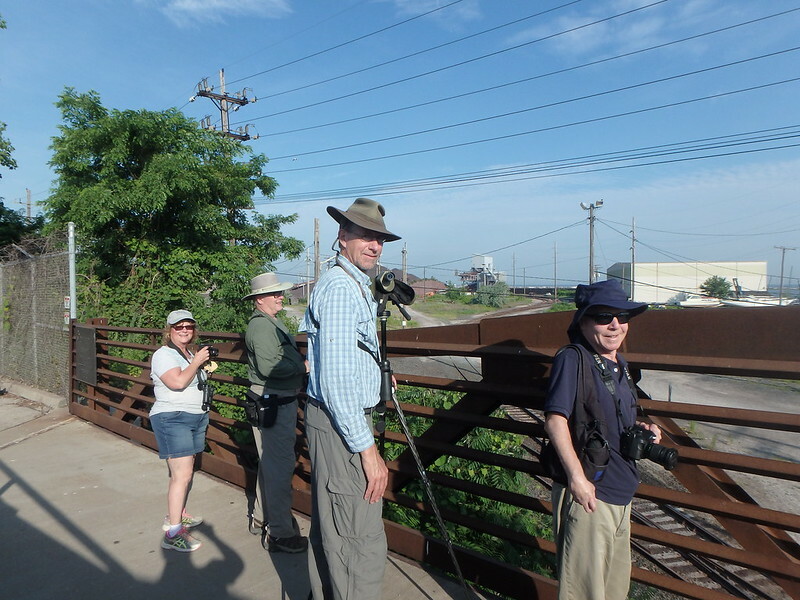 Take the survey: Do You Have a Western Cuyahoga Audubon Story to Share? Sarah Orlando, Ohio Clean Marinas, Ohio Sea Grant, talks about the Native Fish of Lake Erie Exhibit at the Lake Erie Nature & Science Center. Chuck Slusarczyk Jr., naturalist photographer and Tim Jasinski, Wildlife Rehab Spc, Lake Erie Nature & Science Ctr, talk about Lake Erie birds. WCAS Board member Kurt Miske talks with attendees at the Audubon Sustainability Forum 2016, Bay Village, Ohio. Bill Gruber and Ken Martin reminisce a lifetime of environmental conservation advocacy efforts. Dr Anne Wiley Asst Prof Biology Univ Akron, talks about stable isotopes to study bird foraging habits. Dr. Andy Jones, Curator of Ornithology, The Cleveland Museum of Natural History, talks about his interest in natural science since boyhood. WCAS Board member Nancy Howell and Julie Zickefoose, artist, author, and naturalist, enjoy a conversation about the miraculous experience of nature. Lukas Padegimas, traveler, author, and photographer talks about his favorite conserved property in NE Ohio. Stefanie Spear, Founder & CEO, EcoWatch and Tom Romito, WCAS, explore what it means to lead a biocentric lifestyle and how people can become more aware and connected to nature. 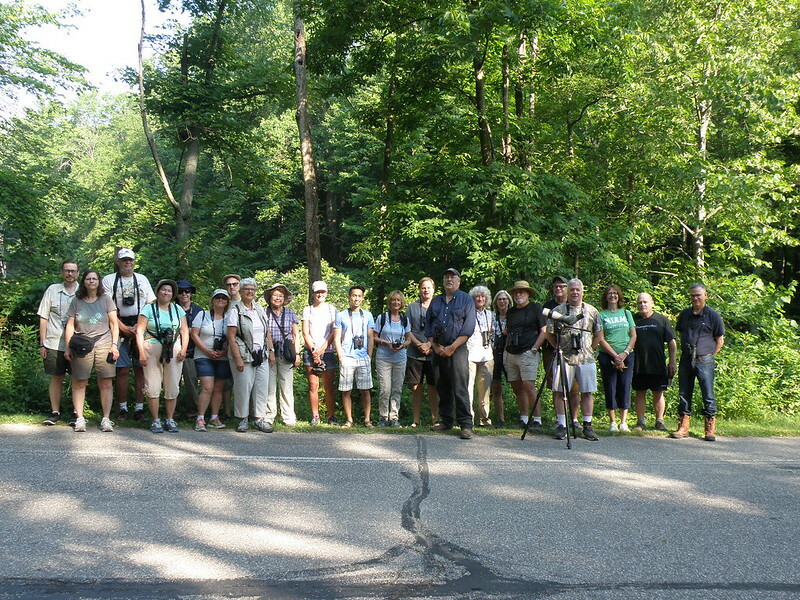 ​We’re looking for volunteers with knowledge of past Western Cuyahoga Audubon Society conservation activities. Can you help? September 4, 2018: “Vegetation in Northeast Ohio: Two Hundred Years of Changes and Challenges” with Kathryn Flinn, Plant Ecologist and Assistant Professor of Biology, Baldwin-Wallace University. October 2, 2018: “Careless Whispers? Deciphering the Hidden Vocal Repertoire of a Common Backyard Bird, the Dark-eyed Junco” with Dustin G. Reichard, Ph.D., Assistant Professor of Zoology, Ohio Wesleyan University. November 6, 2018: “Connecting People to Nature: Placemaking at Western Cuyahoga Audubon Society” with WCAS Members, Affiliates, and Friends. December 4, 2018: "To the Edge of the Earth: Nome, Barrow, and Bering Sea Islands" with Craig Caldwell, Editor, The Ohio Cardinal. January 8, 2019: “Chimney Swifts: Our Amazing & Imperiled Avian Insectivores” with Judy Semroc, Conservation Specialist, Cleveland Museum of Natural History. February 5, 2019: “One Green Space for All: Areas Significant for Migratory and Breeding Birds" with Jen Brumfield, Naturalist and Scientific Illustrator, Cleveland Metroparks. March 5, 2018: “The Life and Times of the American Woodcock” with Heather Shaw, Regional Wildlife Biologist, Ruffed Grouse Society ​and American Woodcock Society. April 2, 2019: “Warbler Warm-up” with Matt Valencic and Kelly. May 7, 2019: “Peregrine Falcons: Predators of Urban Canyons” with Chad and Chris Saladin. Photo by Clyde Witt. Sponsor-A-Speaker is a new program to give members, guests, and friends the opportunity to sponsor one or more speakers in the 2018-2019 Western Cuyahoga Speaker Series. Would you like to do more for birds and habitat conservation? Are you a great communicator? Quick learner? Do you like to work in groups or fly solo? Do you have good organization skills to help grow the Audubon mission? Read the volunteer position descriptions below. Training is available. Join us! Our first stop was Wendy Park along the lakeshore just west of downtown Cleveland. While the shorebird migration is in its early stages, we found Least and Pectoral Sandpipers, Killdeer and Semipalmated Plovers, Lesser Yellowlegs and about ten beautifully buffy orange Short-billed Dowitchers feeding at the iron ore ponds just west of the main Wendy Park parking lot. We started in the parking lot watching a Ruby-throated Hummingbird perched on a branch. The Scarlet Tanager was singing in the parking lot and a few lucky birders saw the bird as we started along the trail. We watched several Great Crested Flycatchers flying about. Join us for Hotspot Birding! Early migrant shorebirds such as Least, Semipalmated, Pectoral, Stilt, Solitary and Spotted Sandpipers, Short-billed Dowitcher and both Greater and Lesser Yellowlegs and of course, any rarities that might be around northeast Ohio!